Regardless of the weight of the information, presenters believe including all favorable information improves how audiences receive and evaluate the content. Presenters believe this creates an additive effect, roughly depicted below. You might experience this when watching a movie. As an observer, your evaluation is based on the entire movie. If the story is captivating but falls apart in the last act, you’re likely to rate the movie less positively even though most of the move was excellent. Another example might be an offer to purchase a new smartphone on its own, or purchase a slightly more expensive bundle that includes low quality headphones. In comparing the two offers, the low quality components reduce the desirability of the bundle relative to just buying the smartphone. This focusing on the big picture instead of individual components is called holistic processing. Presenters generally fail to recognize holistic processing because their objectives are different from the evaluators. 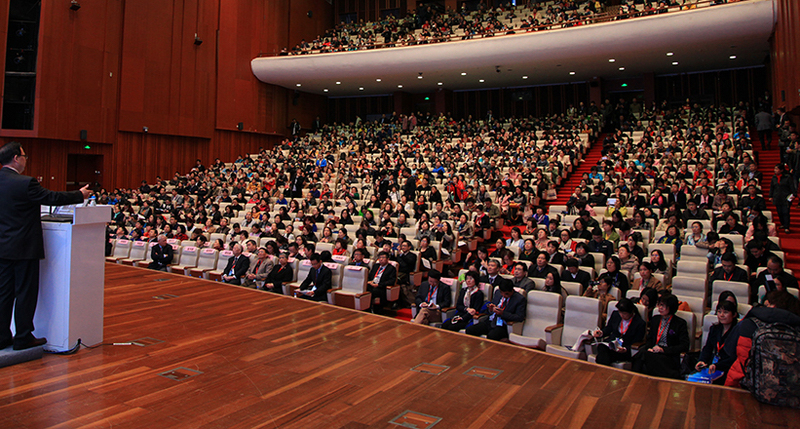 Evaluators assess the entire presentation, while presenters build presentations from individual components which become their own objects of attention. This happens largely because presenters create content using a bottom-up, rather than a top-down approach. Build your storyline first, then support it with only the most relevant facts. Avoid the bottom-up approach whenever possible. Evaluate potential information in the context of the overall story rather than discretely. 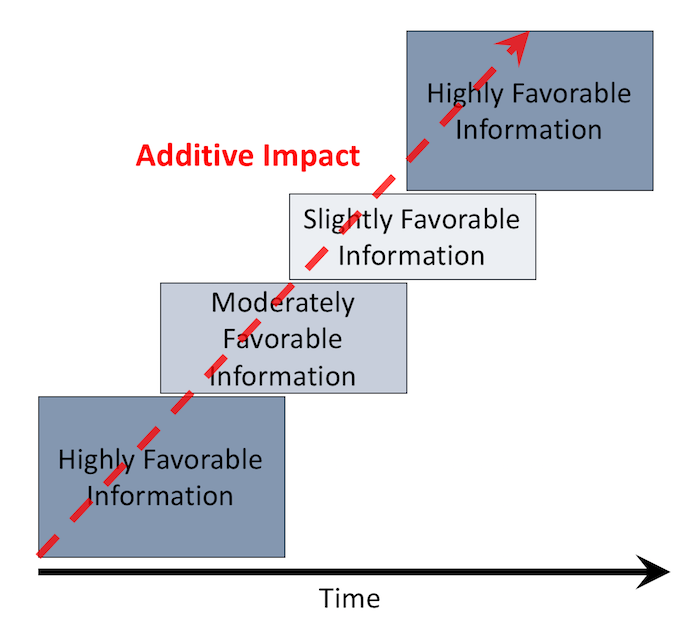 Moderately impactful information will dilute the impact of highly impactful information. Choose the right information for your audience and message. Growth-centric presentations should avoid information on risk and loss, while prevention-centric presentations should highlight it. The Presenter’s Paradox. Weaver, Garcia, Schwarz. 2012. ← Previous Post Are Chinese Companies Reading Employee Emotions?